The Guest Cat tells the story of a couple in their thirties living in a rented cottage on the grounds of a large estate in Tokyo. They rent the property from an elderly couple who live in the large house and their other neighbours are a family with a young boy who also live on the estate grounds. There are a number of cats who prowl the large gardens but the couple takes to none of them until the family next door get Chibi. Or should I say a cat never took to them? 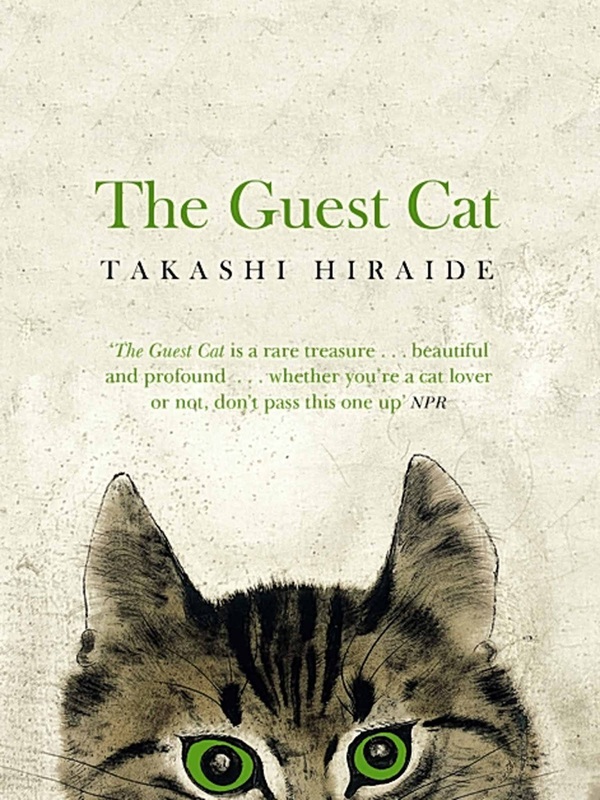 The Guest Cat by Takashi Hiraide is a slim 144 pages and I could probably describe and spoiler the entire book in about three sentences. What I’ll never be able to do is tell such a simple tale of falling for a feline with the beauty and poetry that Takashi does. No, not a lot happens and the concept may sound simple but it’s the stunning way that he describes this delicate relationship that makes it such a gem. Takashi’s romantic descriptions of his home and the surrounding Tokyo are also so lovely that he makes them as vivid as the main characters, playing a large part in why this book is so heart-warming. The Guest Cat is unlike anything I’ve read before, it’s romantic and poetic prose makes for almost meditative reading. This is perfect escapism from the hubbub of daily life.